Mrs. Bernice Rupp (now Mrs. Bernice Rupp Johnson) points out one of several new Motorola television sets being sold in October of 1956 at Paulson's Appliances, located at the corner of South 11th & "K" (now Martin Luther King Jr. Way). The store was owned by Cliff Paulson. 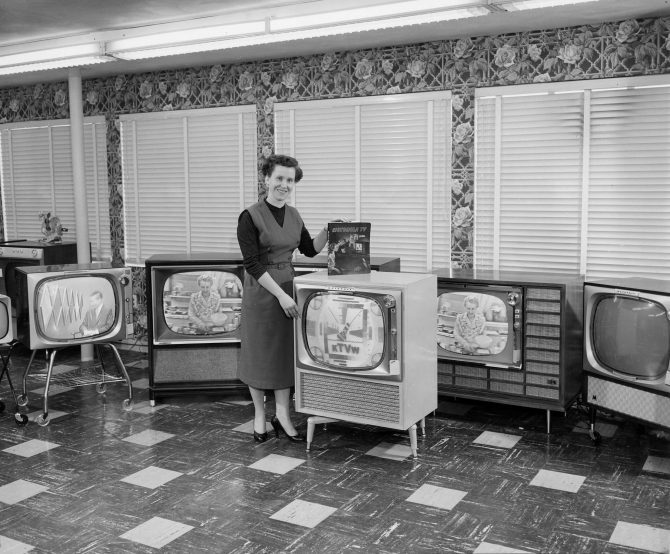 They sold radios, furniture, and appliances including that most important 1950's appliance, the television set. 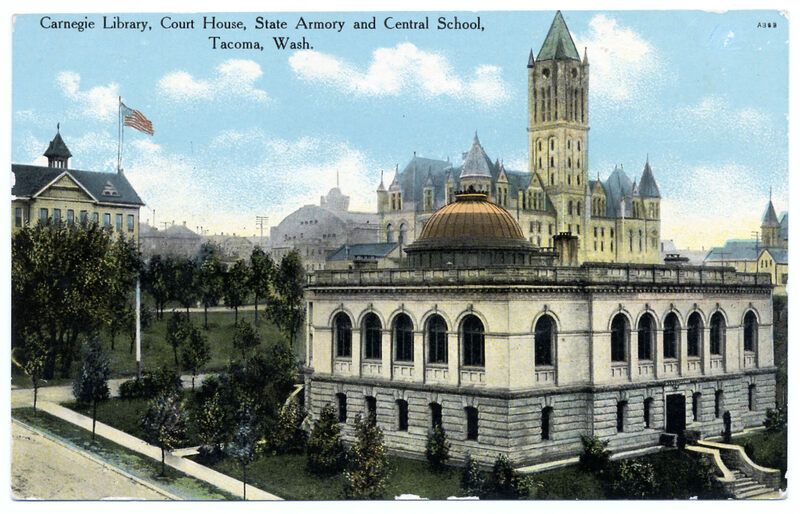 Many of Paulson's newspaper ads featured the phrase "Serving K Street and Tacoma for 50 years!"